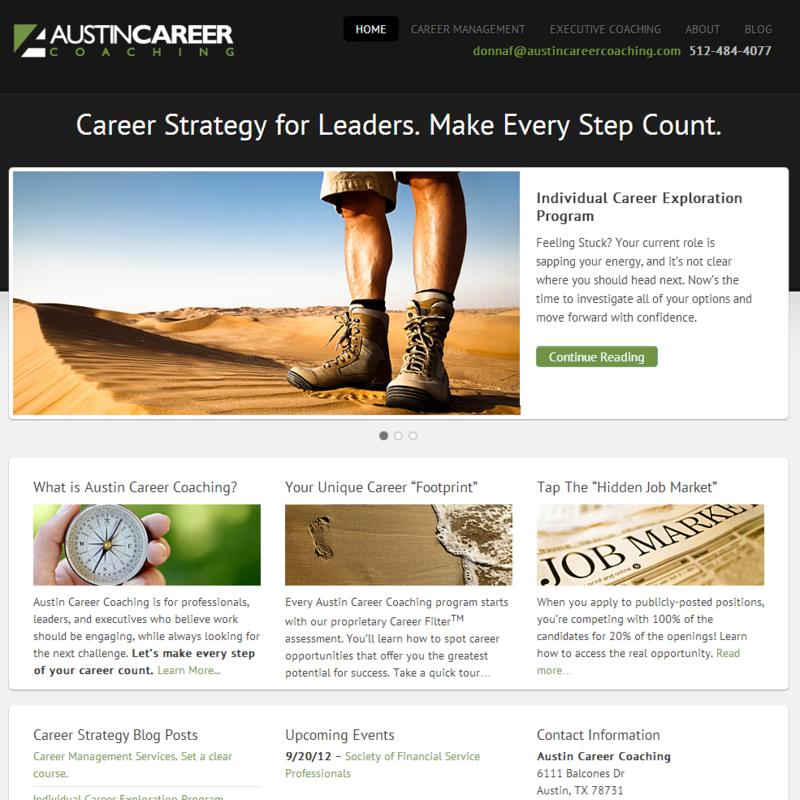 Austin Career Coaching was built for Donna Fox, an Austin area business coach and consultant. This site was created specifically for her Career Coaching program. It was built on the Genesis framework using the Agency Child Theme. The site is mobile responsive which provides a great user experience on mobile devices such as smartphones and tablets. We developed this site at the same time as her Guts Vision Intensity site. You can see by looking at both sites that the theme is the same but we have customized each one to match her branding. You can visit the site at http://austincareercoaching.com/.